There’s no denying that blue eyes can be extraordinarily beautiful, especially when paired with a flattering makeup. 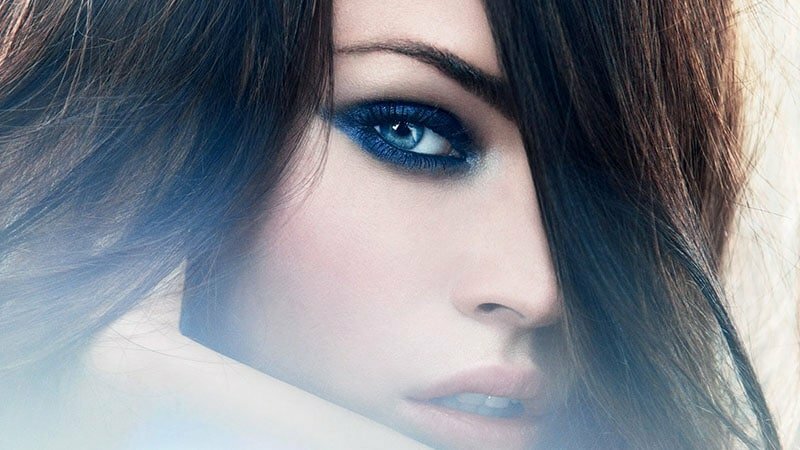 Whether light and icy or deep and dramatic, blue eyes have the power to sparkle, shine and pop with a good swipe of shadow. 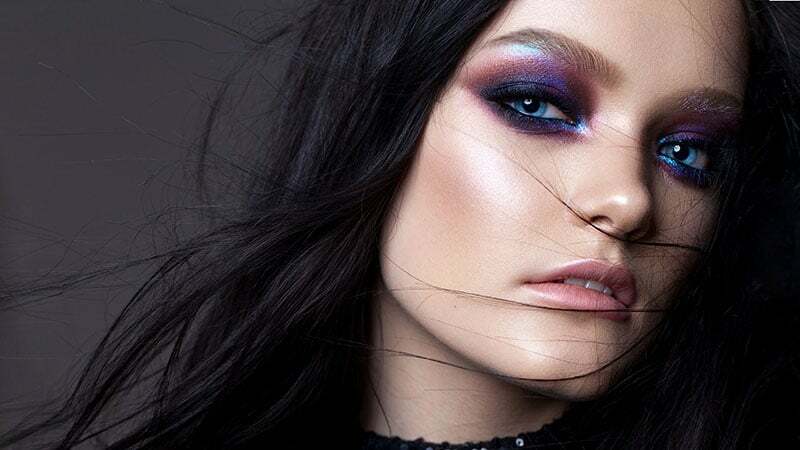 From complementary shades of copper to enhancing navy hues, there are many stunning colours to suit blue eyes, and we know the best of the bunch. So, if you’re searching for beautiful new makeup looks for blue eyes, here is your go-to guide. When it comes to selecting eyeshadow for blue eyes, colour is everything. For a complementary look for blue eyes, select shades from across the colour wheel in the realm of orange. These warm tones, such as copper, coral, and bronze, will be highly flattering on your blue eyes. However, it’s important to note that matching cool tones like blue, turquoise and grey/silver, can also provide stunning makeup looks thanks to their ability to intensify the appearance of blue eyes. A natural eyeshadow look can be useful for many occasions, including work, casual outings and times when you want to wear a bold lip. As such, finding a natural look which appears flattering is a necessity. For women with blue eyes, soft matte shades of beige and brown tend to be the most flattering. All you need to do is select one that also suits your skin tone. If you have a cool skin tone, consider a light taupe hue. If your complexion is warm, on the other hand, opt for a warmer tone of light brown instead. A smokey eye is a timeless makeup style that can suit all eye colours. However, when it comes to blue eyes, black eyeshadow can often appear overly heavy. As such, if you have baby blues, you should consider trying a more flattering brown smokey eye instead. To do so, blend shades of beige, bronze and chocolate across your lids. 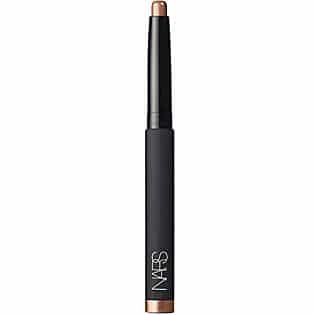 Then, finish the look with dark brown eyeliner and a swipe or two of black mascara. 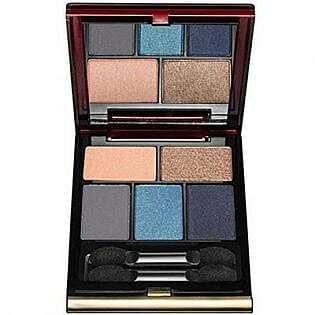 If you want to enhance and emphasise the blue of your eyes, there’s no better eyeshadow colour than blue. For a stunning evening look, select a shimmering navy hue and apply it to your lids and along your lower lash lines. For a more subtle appearance, on the other hand, consider a soft pastel blue hue. One with a grey base will appear seriously flattering as well as modern. For those blue-eyed beauties who love an eye-catching eyeshadow look, purple can make an excellent option. To nail this style, all you need to remember is to stick to modern jewel tones, such as amethyst. These hues will accentuate your eye colour and create a captivating appearance. Other shades of purple to consider for blue eyes include rich royal purples, striking violets and cool lilacs. If you’re after a chic, feminine look, pink eyeshadow can undoubtedly do the job. However, you’ll need to pick the right tone for your eye colour to ensure a lovely appearance. Instead of opting for light and cool pastel pinks, which draw attention to redness and can make you look tired, select a warm pink tone, such as coral. Colours like coral are not only flattering for those with blue eyes but also stylishly modern. Green can be a tricky eyeshadow colour to pull off, but that doesn’t mean you shouldn’t try. To nail this look, all you need to do is select the right shade. While bold emerald shades and warm chartreuse tones are both best left to those with brown eyes, soft blue-based greens, such as turquoise and teal, can appear gorgeous on blue eyes. 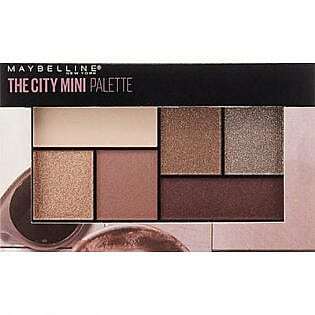 Such tones will deepen the colour of your eyes and add a stunning mermaid touch to your look. 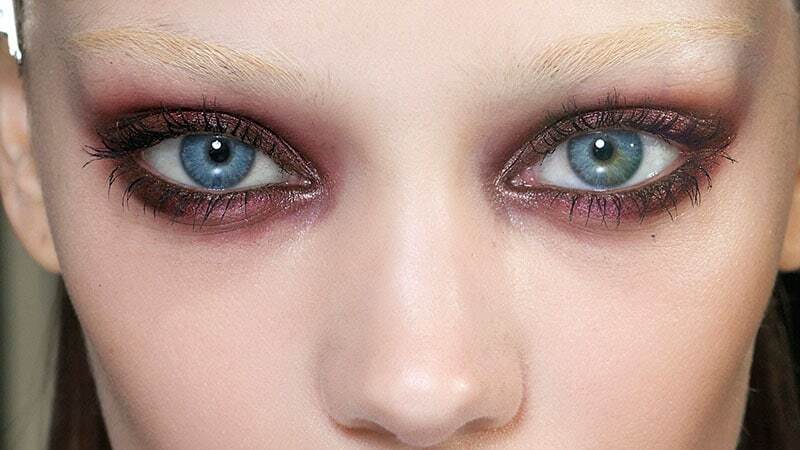 If you’re looking to make your blue eyes pop with an on-trend colour, burgundy makes a brilliant option. The intense colour can make the blue of your eyes look even more vibrant and bring out any flecks of green you may have. 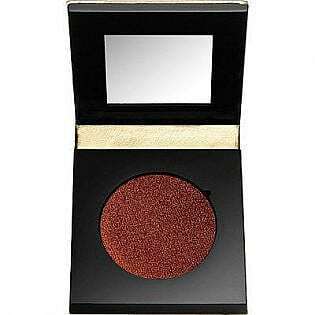 It’s also the perfect colour for a fancy dinner or night out and can make a stunning smokey eye. Just remember to keep the look somewhat light and bright to ensure you don’t overwhelm your blue eyes. Once you’ve chosen your eyeshadow colour, it’s time to apply it. 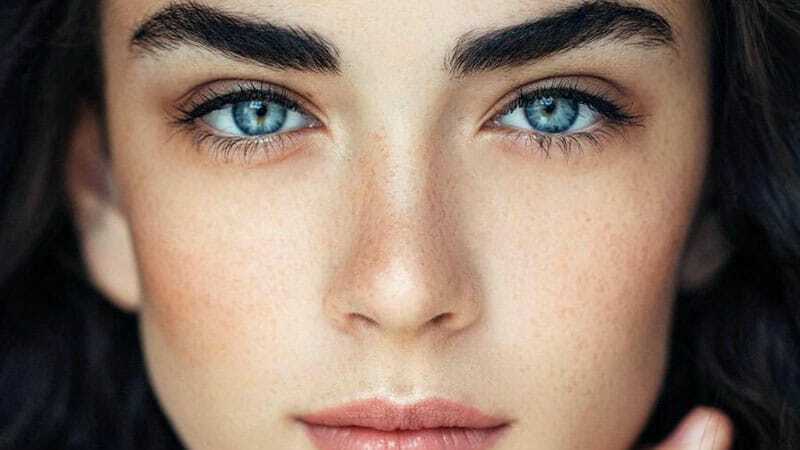 As blue eyes typically appear lighter than other colours, it’s important to keep your eye makeup light and bright for the most flattering look. To start, prime the area with a colour-correcting concealer and use a flat shadow brush to apply a neutral matte base. Then, use a light hand to apply your eyeshadow, keeping darker tones to the outer half of the eye and the crease. 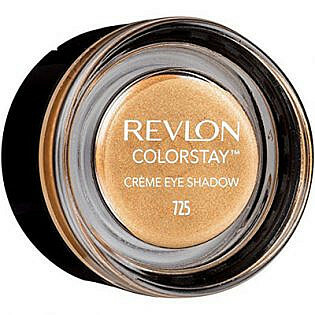 Finish with a dot of cream highlighter on the inner corners of your eyes to add brightness. Although there are many ways to blend eyeshadow, one of the most straightforward options is to go with the natural crease of your eye. To do so, cover your entire eyelid with your chosen eyeshadow colour. Then, apply a slightly darker shadow to the outer corner of your eye and along your crease, following the contour of your eyeball until just before your inner corner. Finally, take a clean brush and blend the darker shadow inwards, using small circles, and along your crease, using a back-and-forth movement. 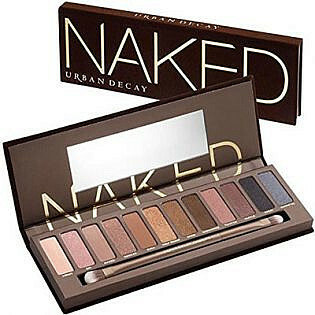 When it comes to investing in eyeshadow, it’s essential to select a variety of eyeshadow types in a range of flattering colours, including grey, copper, bronze and gold. 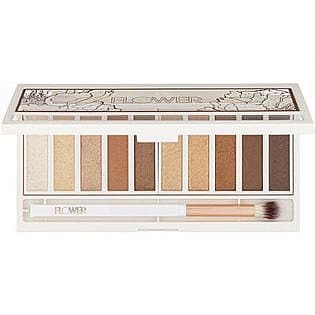 An eyeshadow palette can be a fantastic option for creating diverse makeup looks. For blue eyes, consider selecting one that features shimmering tones of beige, brown, grey and blue. Ready to put your new skills to the test? Try following tutorials for blued-eye makeup looks to master the art of flattering eyeshadow. To brighten blue eyes, select warm shades and complementary orange tones, such as copper, coral, and bronze. To intensify the colour of blue eyes, choose matching cool tones, such as blue, turquoise and grey/silver. For a lovely natural eyeshadow look, select a soft matte brown that suits your complexion. 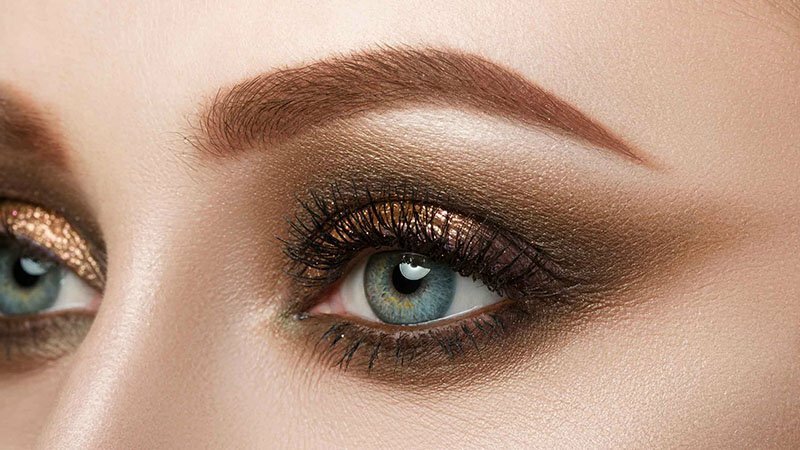 Opt for a brown smokey eye instead of the standard black for a more flattering appearance on blue eyes. Keep your eye makeup overall light and bright to suit the colour of your eyes.